We are REPLACING THE TILE in the Event Center and Hotel Link Areas. Once construction begins it will be noisy and dusty. 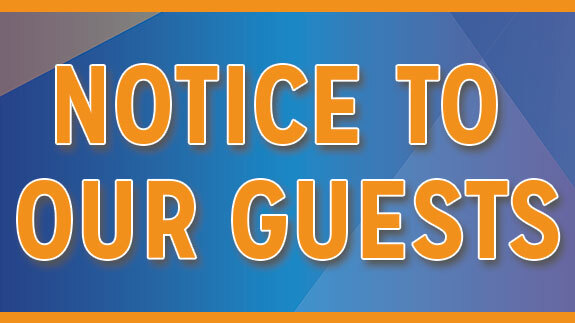 Notices will be posted for guests when certain areas are closed. We apologize for any inconvenience, as we continue to make improvements!